Everyone playing in the Superbowl this weekend got their start somewhere! 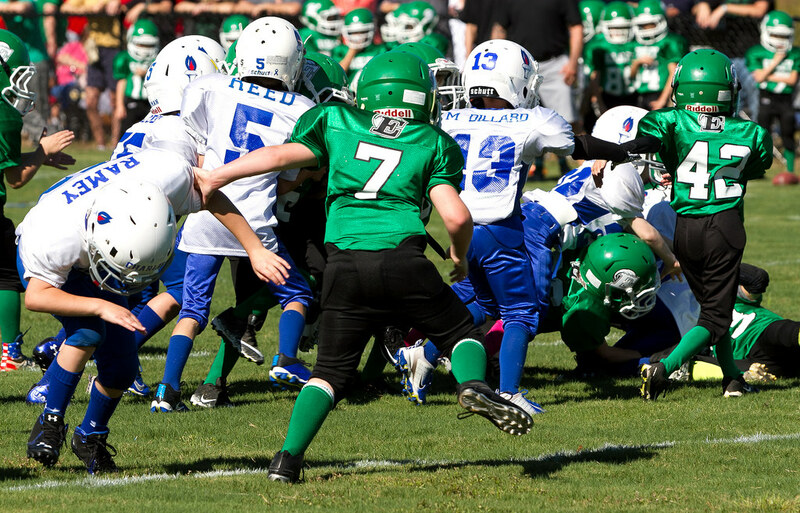 Easley vs. North Charleston 8u State football Championship at South Carolina State University. With North Charleston leading most of the game 6-0 the contest would come down to the final 2-minutes of the game. Easley drove down the field where they were faced with a 4th down and inches. Easley converted for renewed hope and a minute left in the 4th quarter. Easley advanced the ball into the end-zone tying the game at six all. Easley had to convert for 2-points to take the lead in a defensive battle of 7-8 year old juggernauts. Just barely the Easley boys responded with what they needed and took an 8-6 lead with :53 seconds left on the clock. on the ensuing plays North Charleston received the kickoff and furiously did everything in their power to score the next few downs. Easley’s defense was relentless and wanted no part of it. Easley made one stop after another and sealed the game 8-6 and the State Championship. 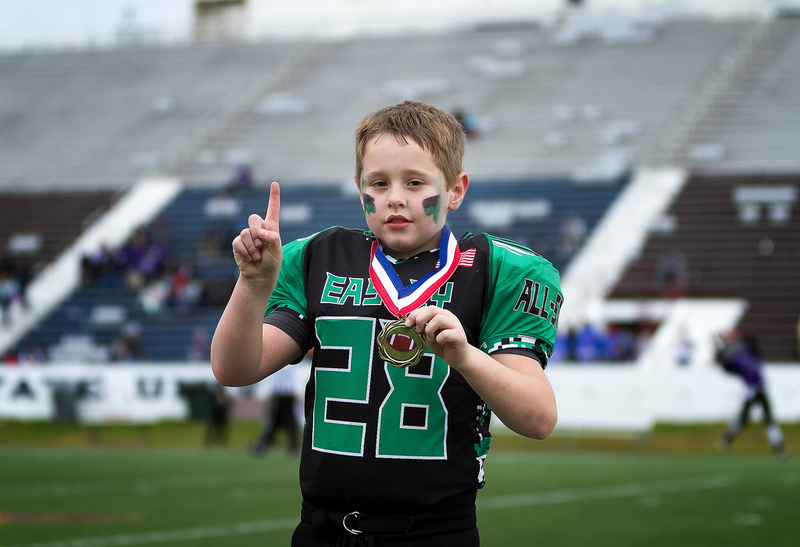 It is the first time in over 10 years Easley won a state championship in youth football. 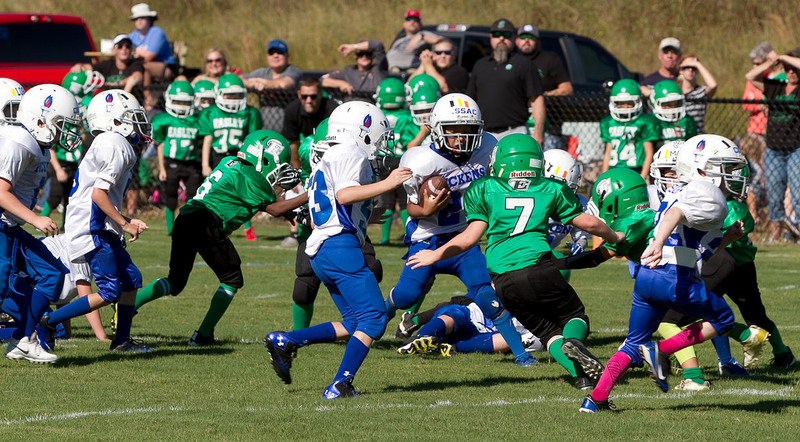 Onward-Played in Greenville South Carolina, The Easley (Green) 8u team played Pickens (White) in Greenville for second round of the Palmetto Playoffs on Saturday. Easley came out on top 44-28 advancing to the third round vs. Central on Tuesday at the Easley Sports Complex. 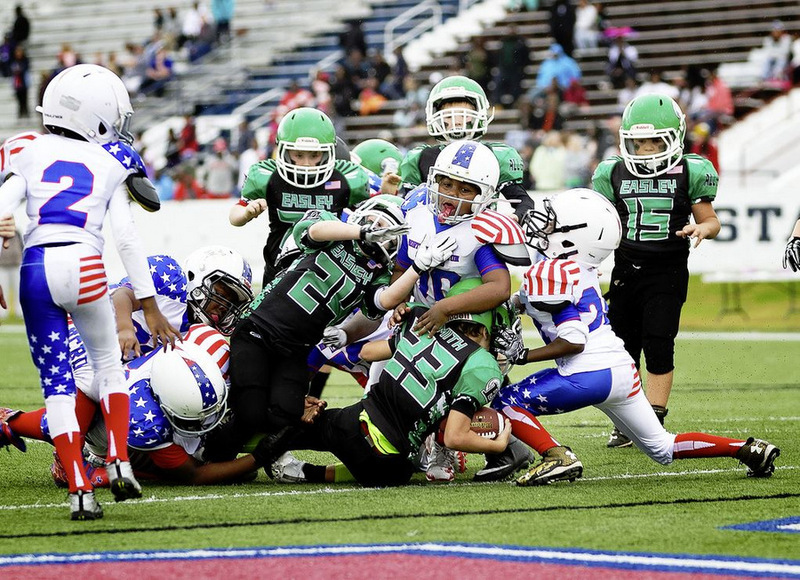 Played in Greenville, South Carolina on Saturday, the Easley (Green) 8u team beat Pickens (White) 44-28 to advance to the third round vs. Central in the Palmetto Football Tournament. A win on Tuesday night puts Easley in the Championship Game. Southside Christian defeated McBee 56-26, Friday, November 28, 2015. The Southside Christian Sabres (12-1), who had never won a playoff game in their nine previous varsity seasons, are headed to the state final. They will play Allendale-Fairfax next Saturday at noon at Benedict College.